These packers consist of a rubber body which is provided with a flange on which a double set of wheels is mounted on either side. The wheels are retractable and can be easily adapted to the size of the pipe . A strong connection between the inner flange and outer flange prevents loosening of the body. 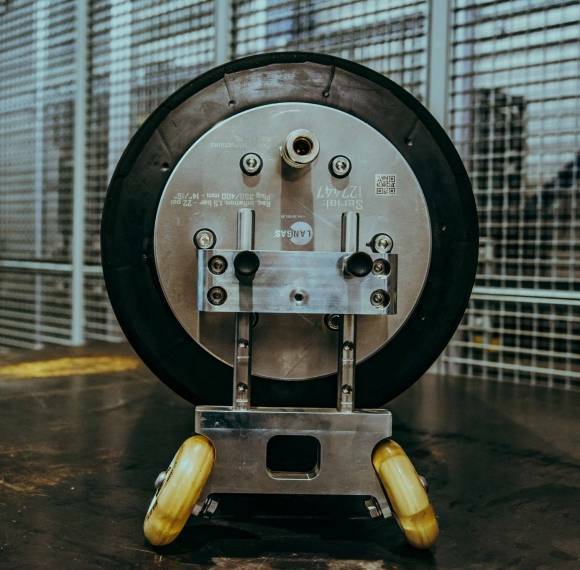 The flexible design of the packer can easily go through a manhole and be installed in the damaged pipe. The packers are suitable for pipe sizes from 200 up to 1200 mm and are available in various lengths . On request, the packers can be equipped with a bypass.